New Delhi: The expert committee tasked with deciding the new yardstick for backward states, meant to benefit states such as Bihar, kicked off discussions on Tuesday with panel members looking at possible parameters. Sources present in the meeting said that some historical and social indicators were discussed but talks were largely exploratory. “It was a broad discussion. 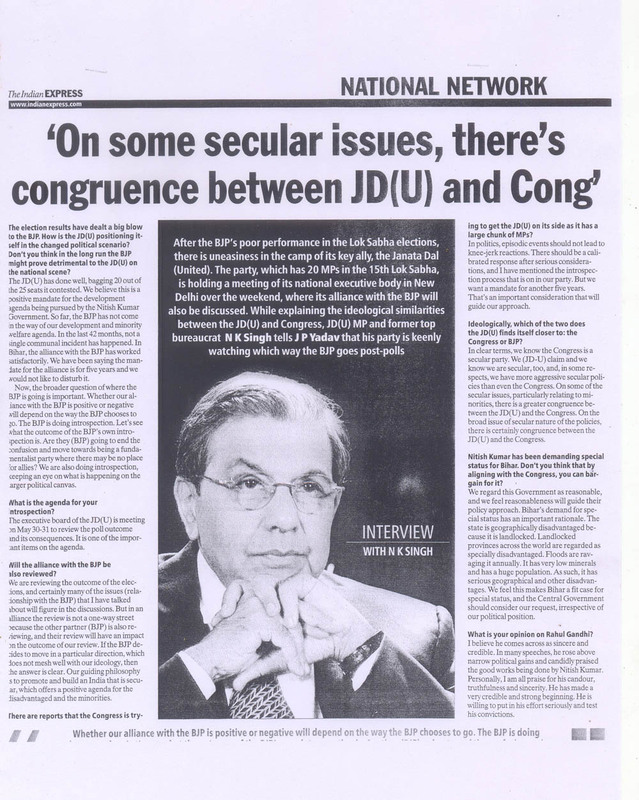 It will take a few more sittings before we come to any conclusion,” said Asian Development Research Institute’s Shaibal Gupta, who is seen as a key member of the committee given his support to the demand for special status for Bihar. 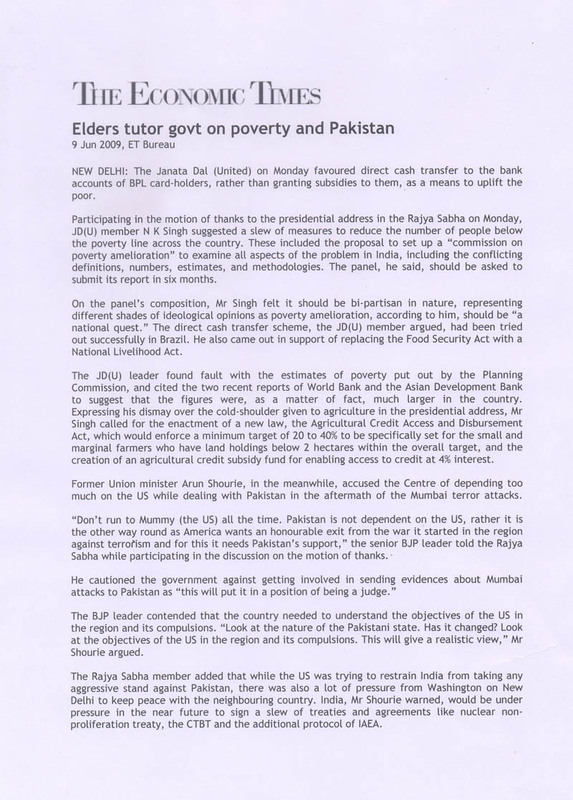 The need for an overhaul of the current mechanism, which focuses on geographical location as the primary criteria for providing special grants and tax concessions to states, was necessitated by repeated demands from Bihar chief minister Nitish Kumar, who has made the grant of a special status to the eastern state a pre-condition for his political support. Sources said that the finance ministry made a detailed presentation at Tuesday’s meeting on the assistance and grants that are provided to states based on the recommendations of the Finance Commission and the Planning Commission’s backward region grants Fund. 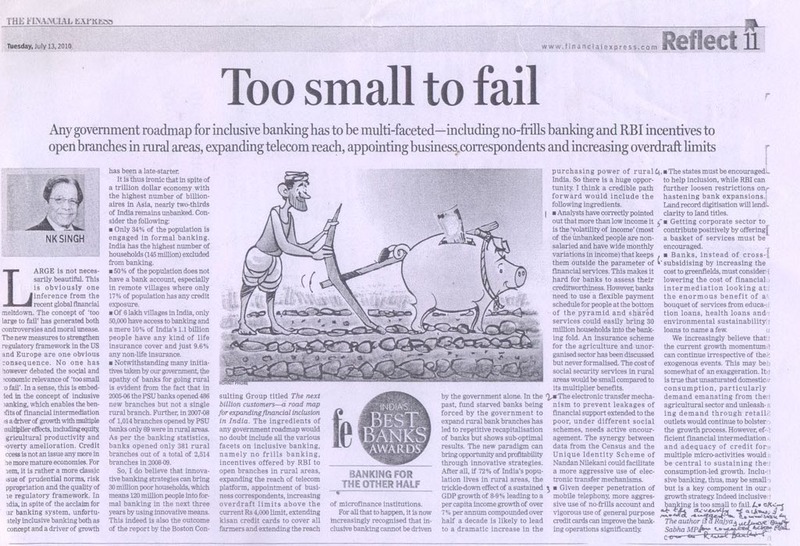 The panel, headed by chief economic advisor Raghuram Rajan, is expected to look at close to 10 parameters, including health and literacy, before arriving at the new definition of backwardness. Apart from Bihar, Uttar Pradesh, West Bengal and Odisha are also expected to gain from the exercise. 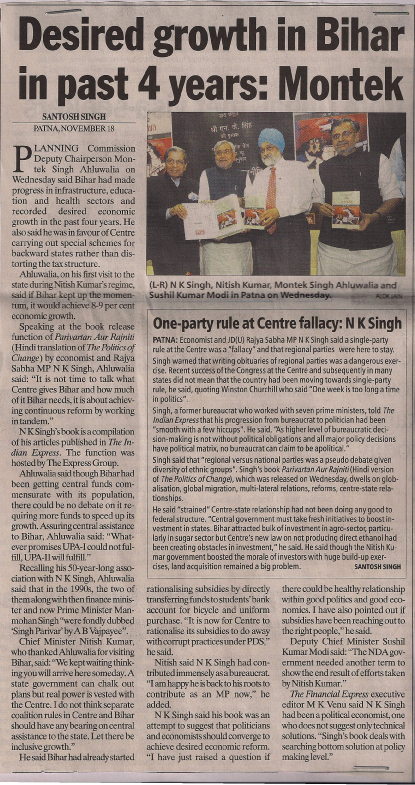 This is in response to the commentary, A Special Curse for Nitish, by Abheek Barman, published in these pages on March 27. 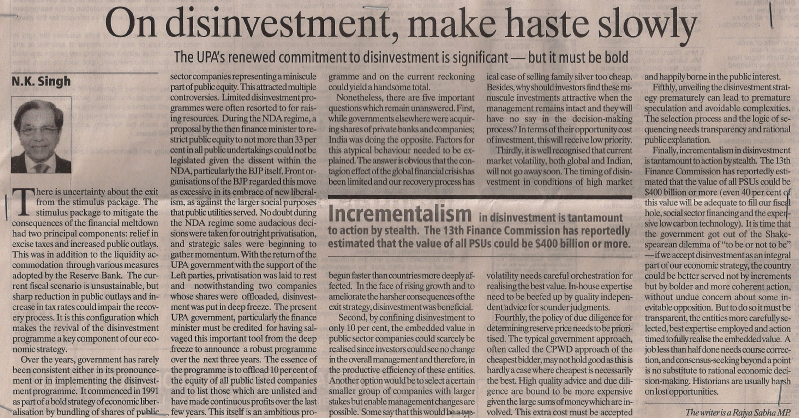 Decoding the politics of special category status masks its economic rationale. Predictions on political alliances occupy media centre-stage. 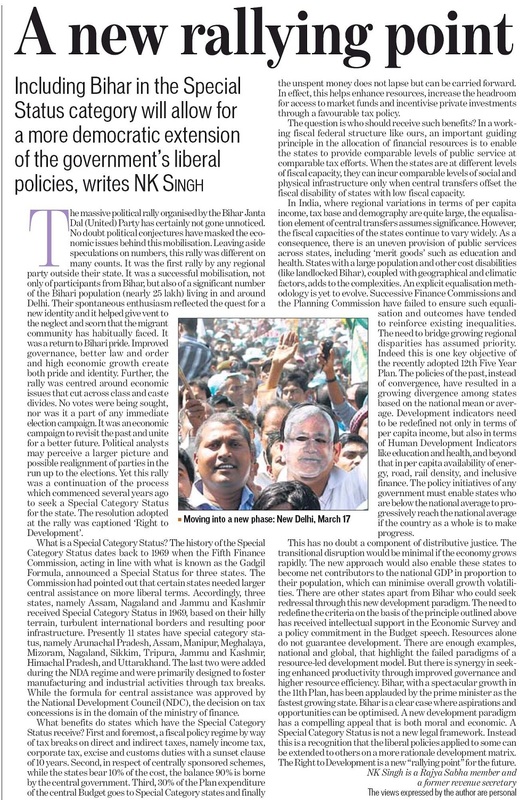 It has overlooked that Bihar began its campaign for special category status several years ago, culminating in the recent rally. This was much before political alliances became fragile. We need to disentangle several issues. 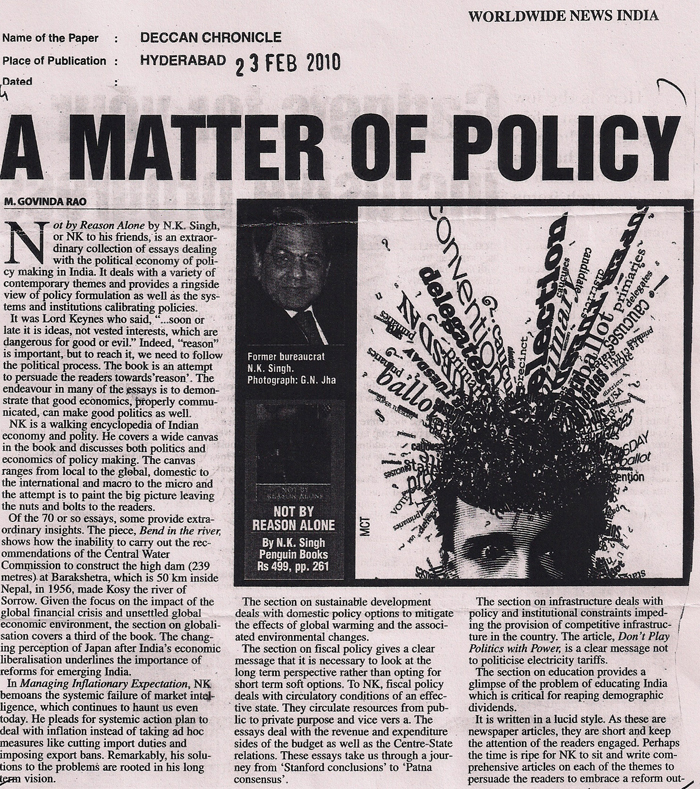 The use of the term “backward”, which was introduced in the lexicon of the Planning Commission as early as the Third Five-Year Plan, is often conflicting. It has been used in multiple ways. The Backward Regions Grant Fund (BRGF), which began in 2006-07, addresses backwardness on multiple criteria covering 272 districts. Bihar has 38 backward districts and availed of the earmarked funds. This is different from the special plan to compensate for the economic consequences of the separation of Jharkhand from Bihar. After the enactment of the Bihar Reorganisation Bill, 2000, a special cell under the deputy chairman of the Planning Commission is expected to compensate for the adverse revenue and development consequences of the bifurcation. Contrary to the large sums requested in the memorandum of the state government and the resolution of the Bihar assembly, only incremental sums were available in the Xth and XIth Plans. 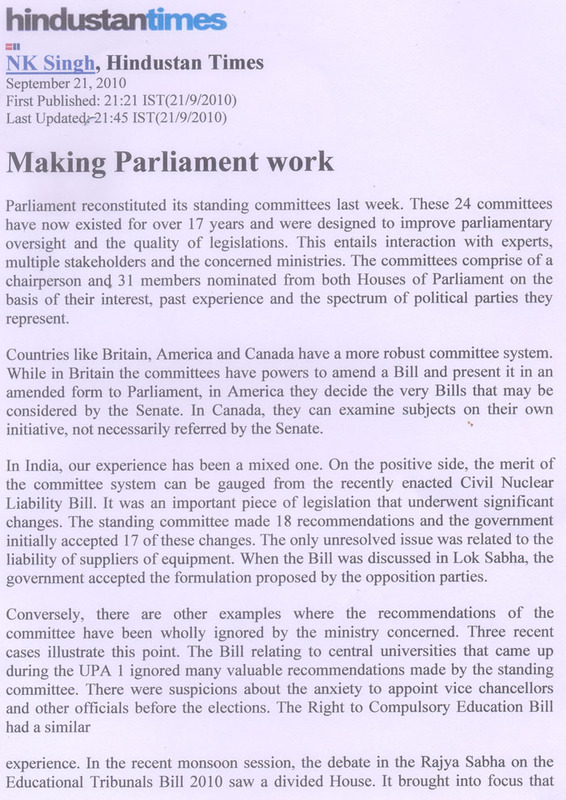 Based on the recommendations of an inter-governmental group, . 12,000 crore is now proposed for the XIIth Plan. This awaits Cabinet approval. 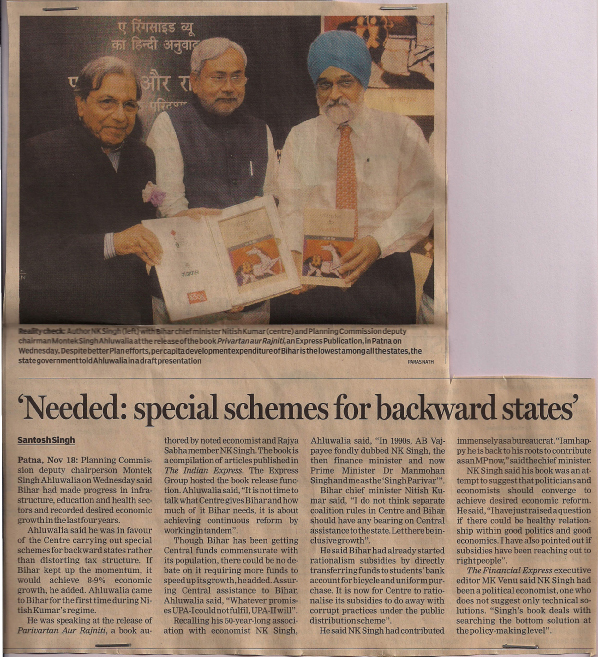 So, we need to segregate the rationale of the Bihar special plan with the BRGF. It is inappropriate to mix apples and oranges. Special category status for states was introduced in 1969. 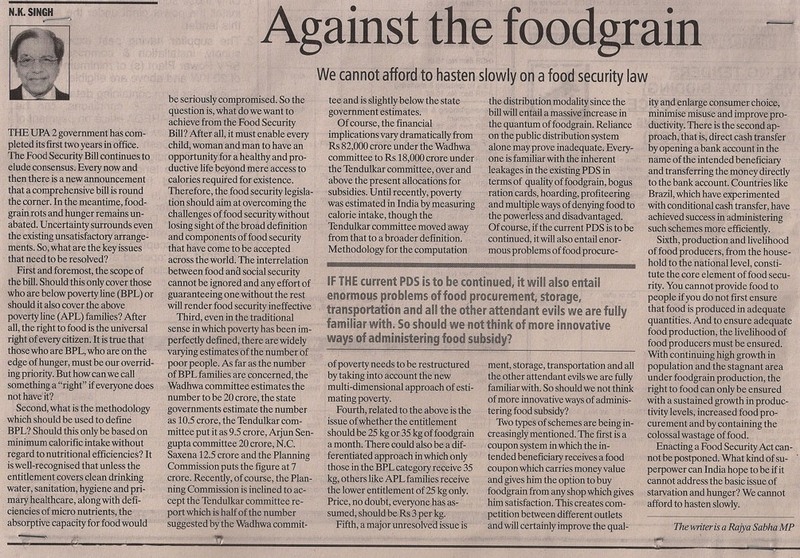 The Gadgil formula announced a more liberal devolution of funds for three states: Assam, Nagaland and Jammu & Kashmir. This was based on the criteria of hilly terrain, sparse population and international borders. Subsequently, this was expanded to 11 states. Special category status enhances the resource capability of the state by altering the mix of Centre-state contribution for centrally-sponsored schemes. It frees state resources, enabling access to external funds, and the associated tax breaks with a sunset clause incentivises private investments. This policy has worked. According to the CSO data of 2011, per-capita income was higher in special category states like Himachal Pradesh (. 47,106), Sikkim (. 47,655), Tripura (. 37,216) and Mizoram (. 36,732) compared to some general category states such as Bihar (. 13,632), with a national average of . 35,993. 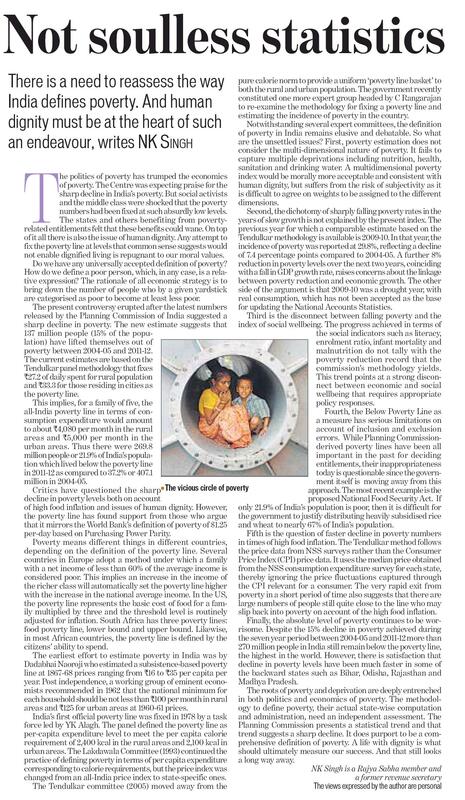 The percentage of population below the poverty line suggests an improved picture for special category states, with nine out of 11 of these states faring better than the national average of 29.8%. Bihar remains at the bottom with 53.5% of its population below the poverty line. Similarly, in terms of per-capita consumption of electricity, literacy and state-wise share in aggregate valued added in the manufacturing sector, the special category states have a better record than some general category states. Bihar’s share in manufacturing is a meagre 0.4% compared to higher numbers for Himachal Pradesh, Uttarakhand, Assam and J&K, which have a smaller populations compared to Bihar. 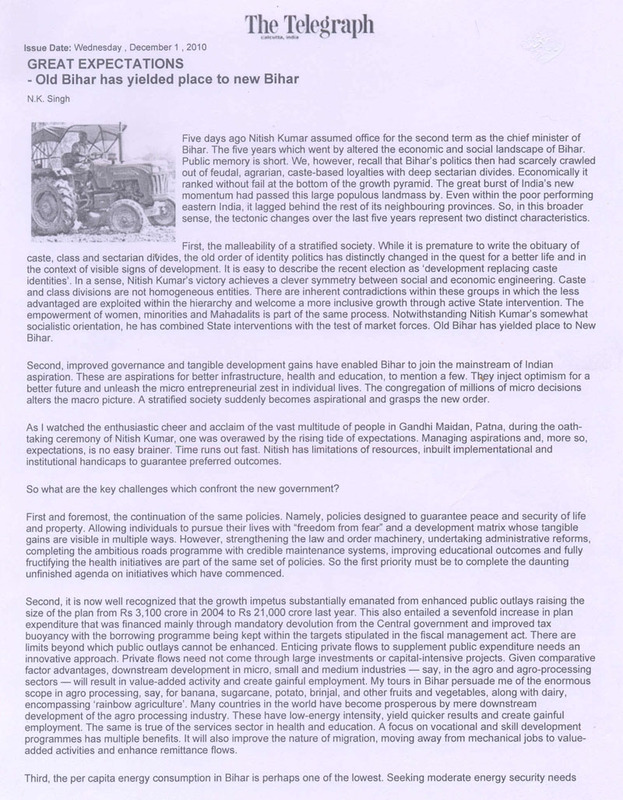 Also, Bihar’s plea for special category status seeks to reverse policies of the past such as freight equalisation, skewed central investment and political predilections in the devolution of resources. The progress of Bihar has been largely public outlay-driven. 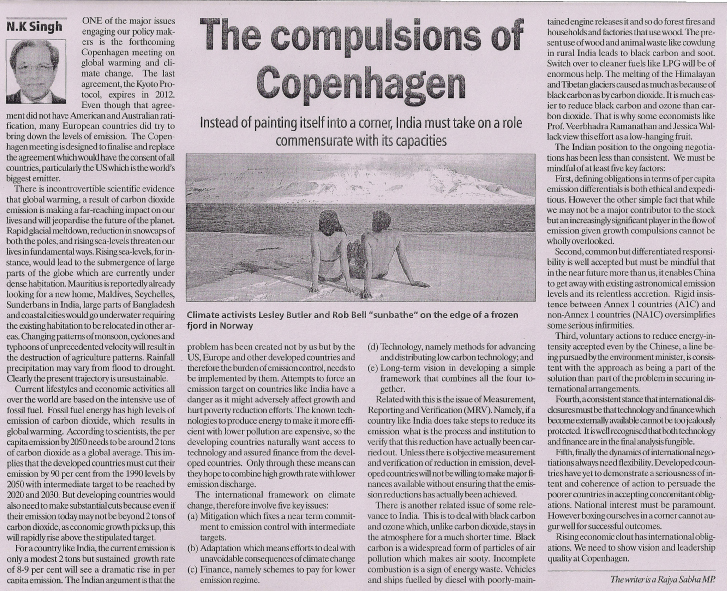 The shortage of energy after bifurcation, the denial of coal linkages and a demand-supply gap of 1,500 MW in 2012 discourages value-added activity. 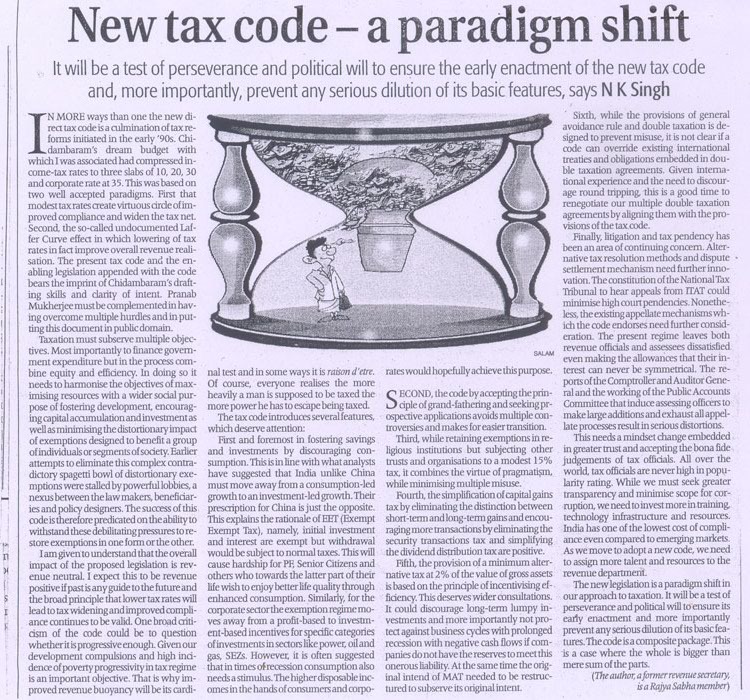 The new approach in the Economic Survey and the Budget speech is politically neutral. States are to be ranked on multiple development parameters, on their distance from the national mean and policies devised to get them to the national average in time. 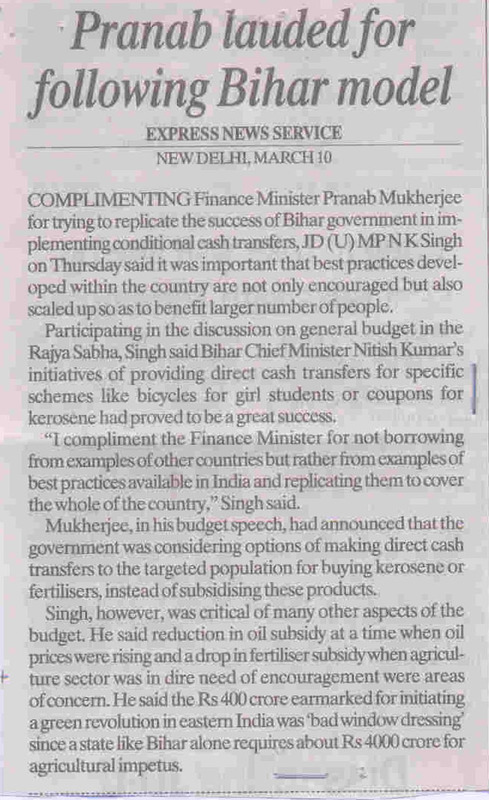 Bihar’s recent development is an outcome of improved governance. Retribution for past electoral choices should not withhold the medicine to address a chronic ailment. Special category status is neither curse nor boon. It is to provide a level playing field for Bihar, for a better life and jobs. When I walked into the room of finance ministerManmohan Singh shortly after June 21, 1991, to congratulate him, he told me that "we will change India". 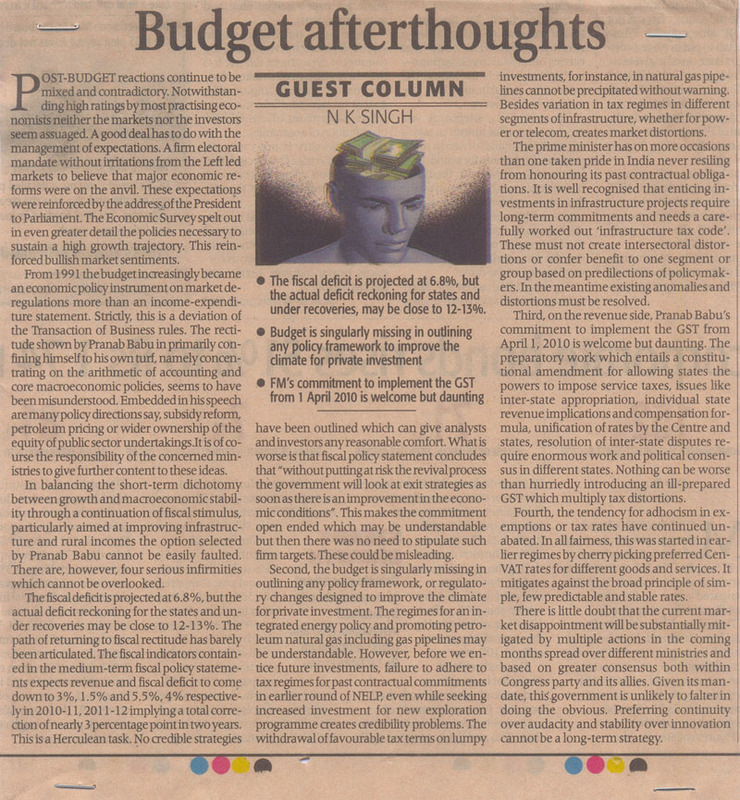 Although I was a point-man dealing with the complex negotiations with the IMF and the World Bank, I had no inkling of the far-reaching changes to be unravelled in the budget presented to Parliamenton July 24, 1991. Our economic landscape has changed permanently. 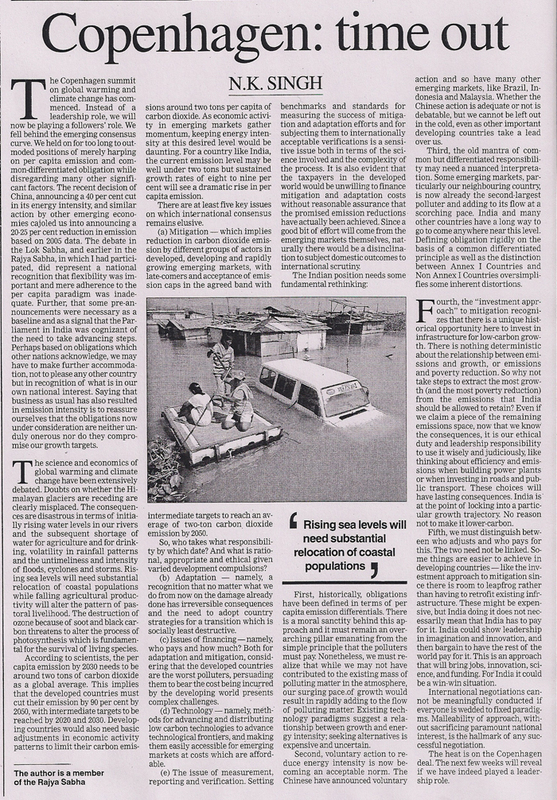 Comparing the present economic malaise with 1991 may be exaggerated. Foreign exchange reserves were less than $1 billion in June 1991, adequate to cover two weeks of import, compared with $290 billion today, adequate to cover a period of seven months. Average GDP growth rate in 1991-92 (at 1999-2000 prices) was 1.3% compared with the average of the last five years at 7.95%. The economic infrastructure is far more diversified, domestic savings rate -which impacts investment-gearing ratio at current prices - improved from about 20% of GDP to 31.6% last year and FDI inflows, which were a modest $500 million then, have touched $42 billion. Indian corporates are healthier and are seeking meaningful global investment opportunities, including some high-profile strategic investments. Given our young population with unsaturated consumption as a driver of growth, the India opportunity and growth story is one of the most notable successes of the last decade. So, are comparisons with 1991 totally misplaced? Notwithstanding many inherent strengths, some of which have been mentioned above, there are four significant vulnerabilities that prompt analysts to seek such comparisons. First and foremost, the macroeconomic vulnerability. 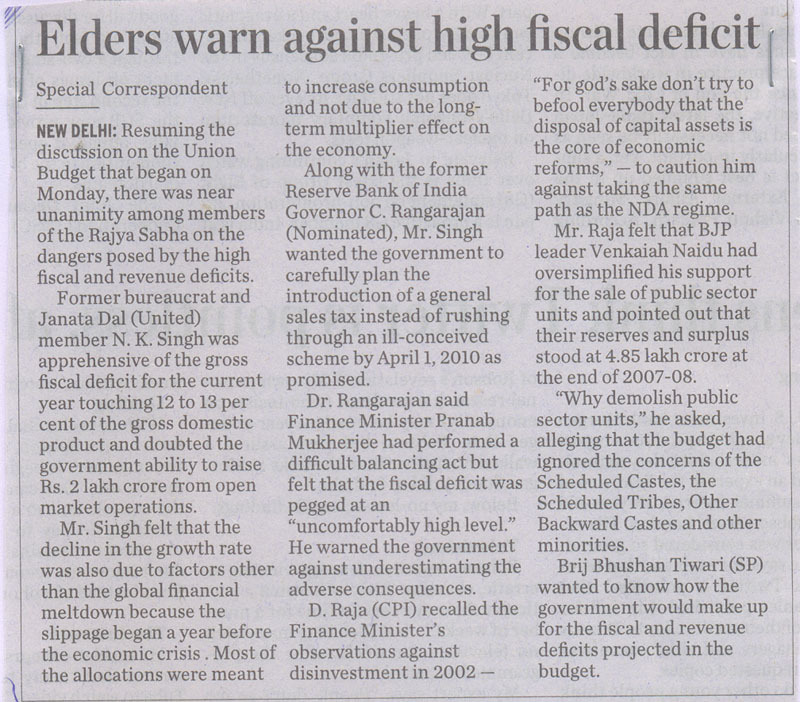 The fiscal deficit, which was 5.39% in 1991, is 6.9% in 2011-12. Current account deficit, which was 3% then, was close to 4.3% in March this year. 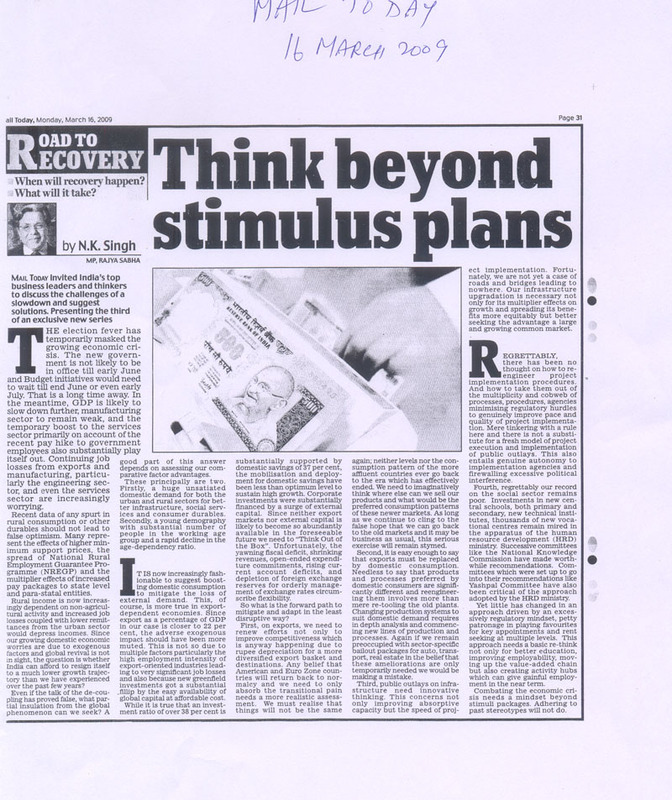 Domestic savings rate have come down sharply from 36.9% in 2007-08 to 31%, which adversely impacts GDP growth trends. 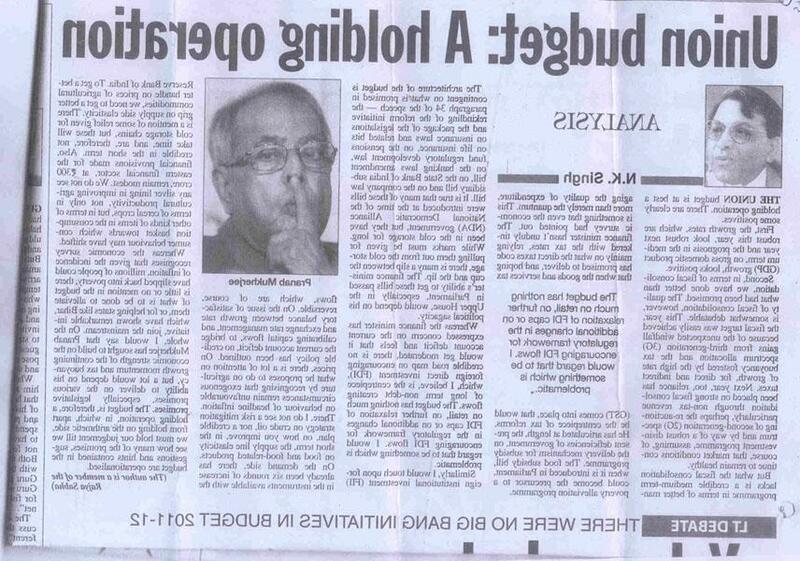 Domestic debt as percentage of GDP, which was 73.16%, is not significantly lower at 67.1% in 2011-12. Further, the shortterm external debt as a percentage of GDP is 22% compared with 10% in 1991. Inflation, while lower than 1991-92, has been consistently high over the past two years and in 2010-11, it was at 9.6%, uncomfortably close to the double-digit mark. This limits the flexibility of central bankers to ease liquidity, lower the cost of borrowing and make greenfield investments attractive. Tax buoyancies have suffered due to decline in growth rates. Both subsidy bills and overall expenditure remain unsustainable, contributing to the stubborn fiscal deficit. The rapid economic growth experienced in recent years has multiplied the consumption of energy-intensive fossil fuel manifold. Crude prices have risen sharply and dependence on imported crude remains at stubborn 80%. Second, the international economic situation has deteriorated sharply. In 1991, major economies of the world were growing rapidly and the international situation was benign and favourable. India was a new kid on the block and the world was ready to help India in its immediate crisis and encourage measures that could put it on a high-growth trajectory. Today, the situation is just the opposite. America's recovery is tentative and Europe is in deep crisis. Recent policy changes, tardy reforms and governance deficit have deeply dented investor confidence. Both the exogenous and endogenous circumstances have worsened compared with 1991. We have frittered away many opportunities, postponed easier decisions and impaired our regulatory regime at a time when global capital is scarce. Third, in 1991 India was largely a closed economy. Trade was highly regulated, tariff was high and quantitative restrictions had insulated the domestic economy from international changes. Trade as percentage of GDP was just 14% compared with 41.8% in 2011-12. 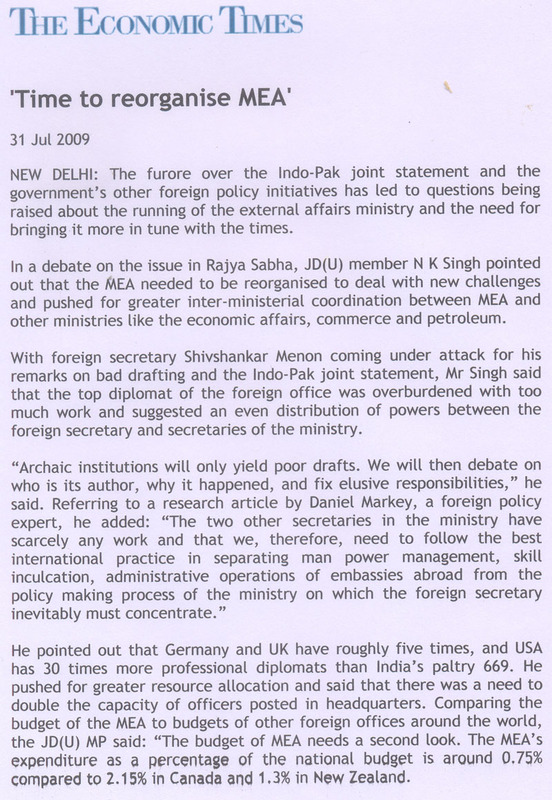 Indian economy has integrated with the world more substantially and increased its vulnerability to exogenous changes. The Constitution of India had guaranteed free and compulsory education for all children until the age of 14 years under Article 45. This remained unfulfilled till the Right to Education (RTE) Act was passed by Parliament in August 2009. However, the implementation of this Act has left many contentious issues pertaining to quality, equity, access and adequacy of resources unresolved. Recently, the Supreme Court upheld the legislation in its entirety by approving the reservation of 25% of the total admissions in private run schools for economically backward section. This judgment is undoubtedly aspirational, but its implementation needs to be calibrated in a way which is not disruptive or deters private investment in education. Transition to the new arrangement needs careful consideration given the contemporary challenges and social realities. The complexities and challenges in implementing the RTE Act are daunting in the face of a consistent decline in educational outcomes. The recent ASER Report 2011 indicates that the quality of school education in India is on a downward spiral. The reading and basic arithmetic levels of children have dropped significantly. More than half of the schools are short of teachers and almost 47% don’t have enough classrooms, 37% lack toilet facility and almost two thirds of these schools are not electrified. In view of this falling standard in government schools, the poorer section of society have started sending their children to private schools. This is evident in the fact that enrolment in private schools in India have dramatically increased to 25.6% in 2011 from around 18% in 2005. Universalisation of primary education will remain a distant dream if inspector Raj is unleashed in the name of implementing RTE Act. So strengthening the public education system is crucial, not only to restore the lost faith in the system, but also to improve the quality of primary education. There are at least five areas of concern as far as quality of education is concerned: (i) absence of a common schedule of norms and standards (ii) shortage of teachers which has gone up to a million required to meet the teacher-pupil ratio embedded in the RTE Act (iii) deteriorating quality of teachers with over 6.7 lakh teachers lacking the prescribed teacher qualifications (iv) insufficient expenditure in education, which is only a fraction of the amount required to implement the RTE Act and (v) poor implementation record with lack of clarity on sharing the implementation burden between centre and states. The complexities in the education sector go well beyond adequacy of resources. The embedded social and equity considerations need to be resolved in a way that harmonises quality with the compulsions of social inclusiveness. We need to look at some creative and targeted solutions to address the above issues. 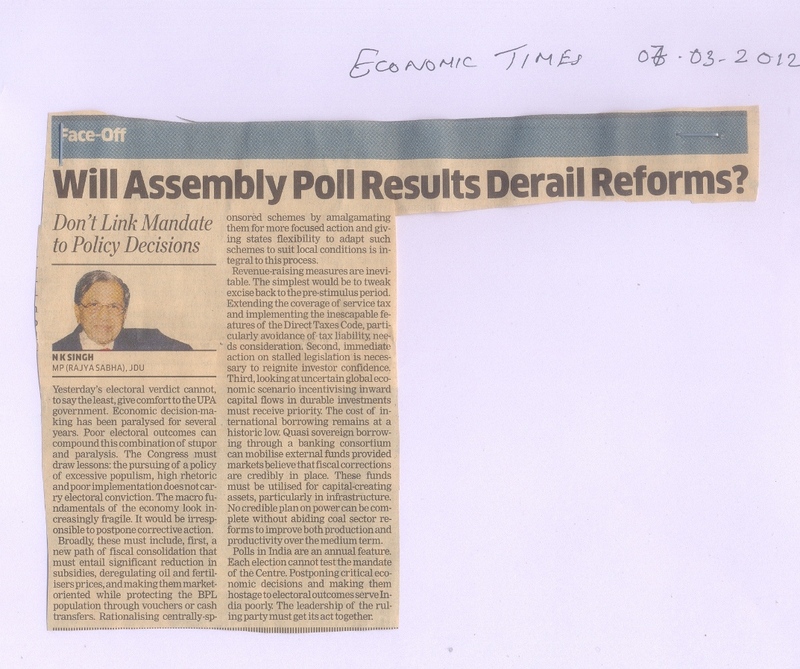 Will Assembly Poll Results Derail Reforms? Who can dare to let Bihar down at this stage? 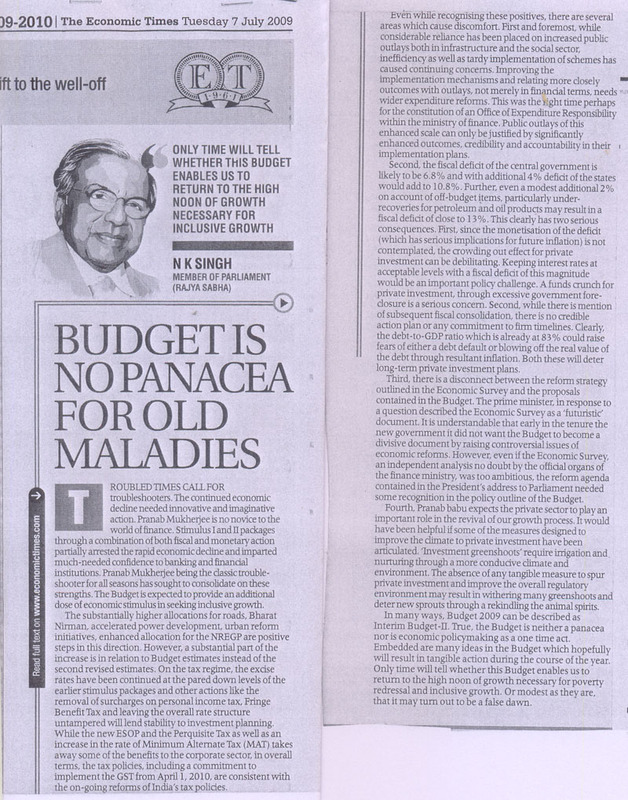 Will Pranab deliver a magical budget? Blame it on the Left? Who will manage global risk in 2008? Why is the urban voter so angry? Do nations have the collective guts to look global risk in the face? 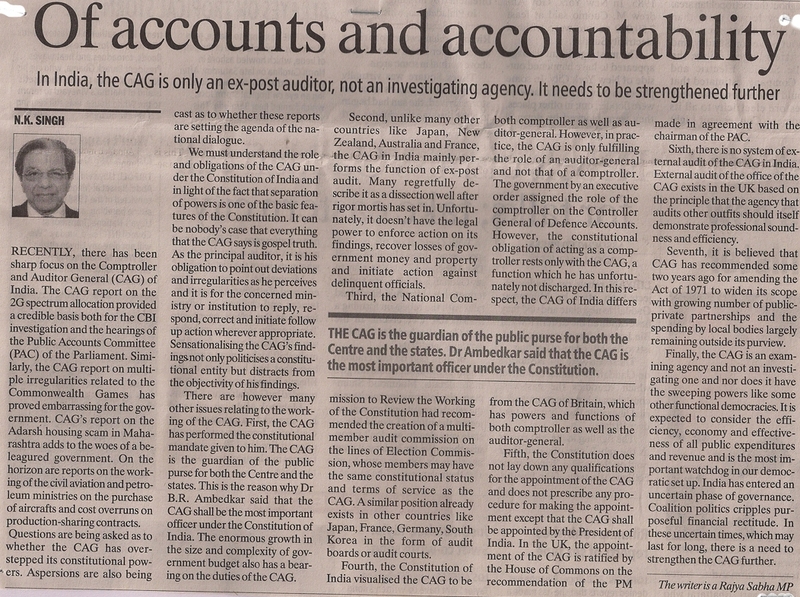 Can Planning Commission plan for itself? 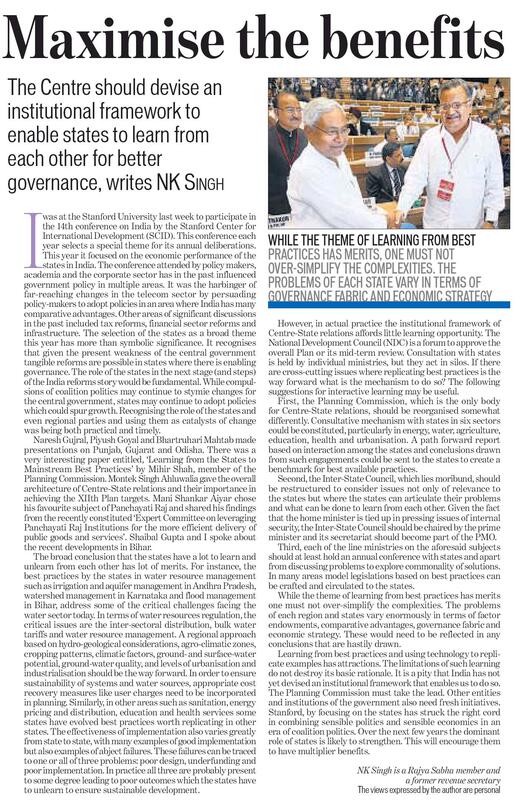 Bihar may get a government but what about governance? Can Chidambaram be Santa Claus tomorrow? Coffee, tea or international aid?